One of them is a tiny glowing beetle. Fireflies in Japan are called Hottaru. The magical Hime bottaru can be seen from late February until late April in Iriomote island. 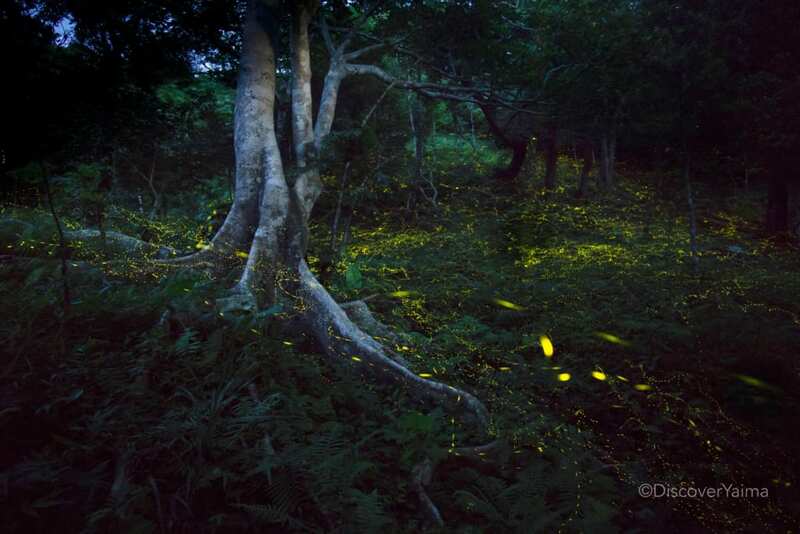 Fireflies in Ishigaki island show up from March until June. During this season the tiny fireflies light up to attract mates. The Hime bottaru is the smallest firefly in Japan, only 2 to 5 mm. 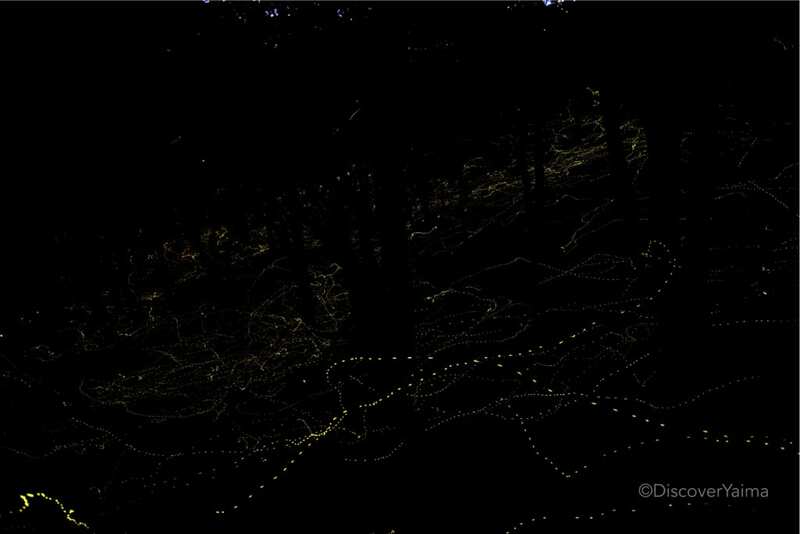 The fireflies live in the dark mountain forests and after sunset, they light up for about 30 minutes. So make sure to go before sunset and wait until the ‘fairies’ around you wake up and dance. From March until June Banna Park is a good spot to view fireflies. This large park is beautiful during daytime when it’s not too hot. Go here for flowers, butterflies and viewpoints, good with kids to tell them nature stories and find exciting creatures on the way. Banna park also has a Hottaru path.